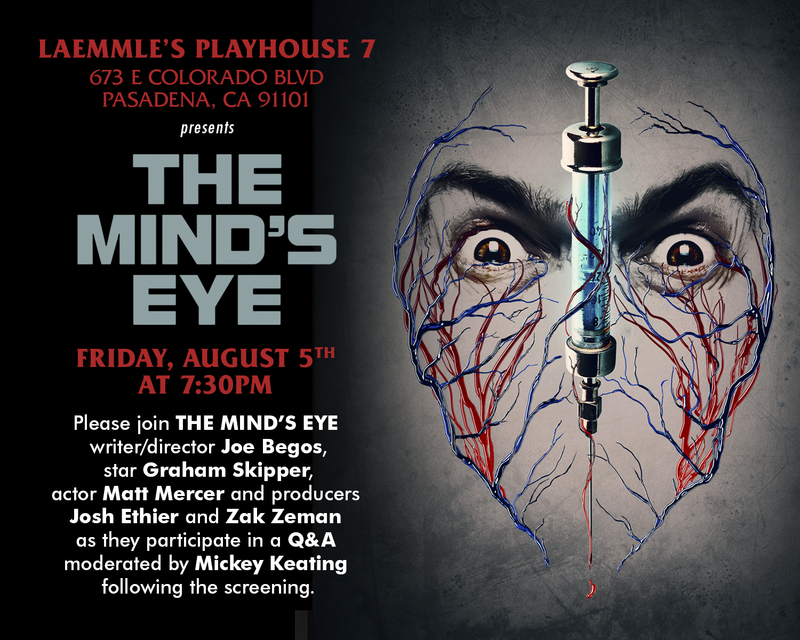 If you’re in the Pasadena, CA area tomorrow you might want to swing by Laemmle’s Playhouse 7. 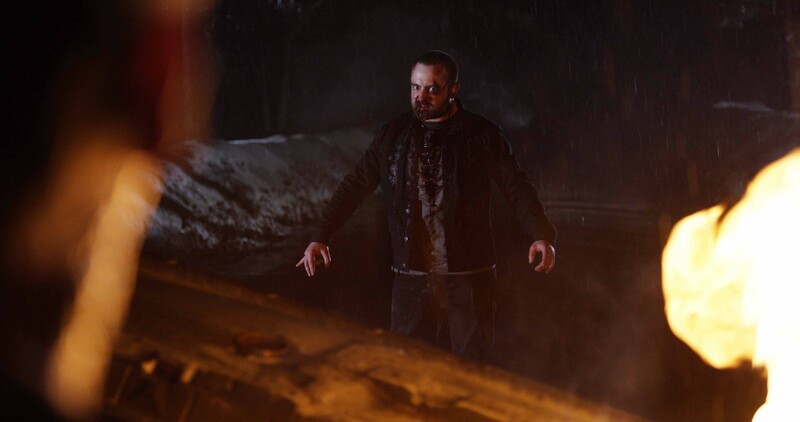 You’ll have the chance to get an early look at Joe Begos’ (Almost Human) latest, The Mind’s Eye. The movie looks slick (we’ll give you a peek directly below), and you’ll have the chance, should you want it, to tell the man himself, as there is a Q&A slated to kick off directly after the completion of the film. Writer/director Joe Begos, star Graham Skipper, actor Matt Mercer and producers Josh Ether and Zak Zeman will all be on hand for the Q&A session. So, make note that you’re busy, tomorrow, Friday, August the 5th at about 7:30 pm. You can go ahead and grab tickets on the Laemmle’s Playhouse 7 website, right here. The film will also land on VOD and iTunes tomorrow. Graham Skipper (Almost Human), Lauren Ashley Carter (Jug Face), John Speredakos (The House of the Devil), Noah Segan (Deadgirl), Matt Mercer (Contracted) and Larry Fessenden (Stake Land) star. Synopsis: Zack Connors and Rachel Meadows were born with incredible psychokinetic capabilities. When word of their supernatural talents gets out, they find themselves the prisoners of Michael Slovak, a deranged doctor intent on harvesting their powers. After a daring escape, they are free from his sinister institution, but the corrupt doctor will stop at nothing to track them down so that he may continue to siphon their gifts for his own use.